Sony has issued a new update to its PlayStation 3 console, adding features such as moving avatars and custom backgrounds. 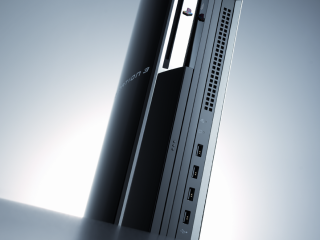 With the update come the usual tweaks, additions and fixes designed to make the PS3 a better console. The new custom background feature will enable you to change your PS3s boring XMB - the desktop background - and add your own digital photos or game screen shots. The other addition to the XMB is that there is a new 'eject disc' option, which is convenient but also pointless seeing as you'll still have to stoop down to grab the ejected disc anyway. One update that'll excite audiophile-types is that with v1.9 the PS3 can now upscale audio to 44.1KHz, 88.2KHz and also 176.4KHz. That should keep your movies sounding nice and crisp, as long as you've got the console hooked up via an HDMI cable of course. More high definition features are also added in the ability to playback Blu-ray discs at 24fps, and that'll work as long as your display supports such a frame rate. Video settings can also now be changed whilst you're playing a game, so no need to quit the game and go back in again. And one less exciting feature, PlayStation Network users can now use emoticons in their chat conversations. Smile, sheep, laugh, yawn.